Your favourite Balnaves wine delivered to your door while enjoying the added benefits of being a Wine Club member. Choose what wines, the quantity and the frequency you want to receive your deliveries anywhere within Australia. If you are having trouble viewing this page we recommend using Google Chrome as your internet browser. Yes, our club is very flexible, you can choose what wines (subject to availability), the quantity and the frequency you want to receive your deliveries. Yes, you can manage the following in your My-Account/Wine Club page. Where does Balnaves deliver to? Balnaves delivers wine anywhere within Australia. When will my first dozen be delivered? For your first subscription shipment, payment will be taken at the time of checkout. Subsequent shipments will be charged a day prior to your scheduled dispatch from Balnaves. What do I do if I am away when my wine is due? Not a problem, click here and let us know. We can change the dispatch date or delivery address. Can I change my wines selection? Yes, please log in to your Account page here, and select your wine club order. On your Wine Club page select the button “View/Edit Wines”, here you can update your selection and press “Save” to finish. Yes, navigate to your Wine Club page from My Account and Select the button “Switch Wine Club”. It will take you back to the signup process. Here you can switch your packs and/or switch your delivery frequency. Please note, after switching, Balnaves will be in touch with you to confirm when you would like to receive your next pack. What discounts and benefits are available? Receive 3 bottles every 6 months – 5% Discount on wine club wines as well as all other online or Cellar Door purchases. Receive 3 bottles every 3 months – 10% Discount on wine club wines as well as all other online or Cellar Door purchases. Receive 6 bottles every 6 months – 10% Discount on wine club wines as well as all other online or Cellar Door purchases. Receive 6 bottles every 3 months – 15% Discount on wine club wines as well as all other online or Cellar Door purchases. Receive 12 bottles every 6 months – 15% Discount on wine club wines as well as all other online or Cellar Door purchases. 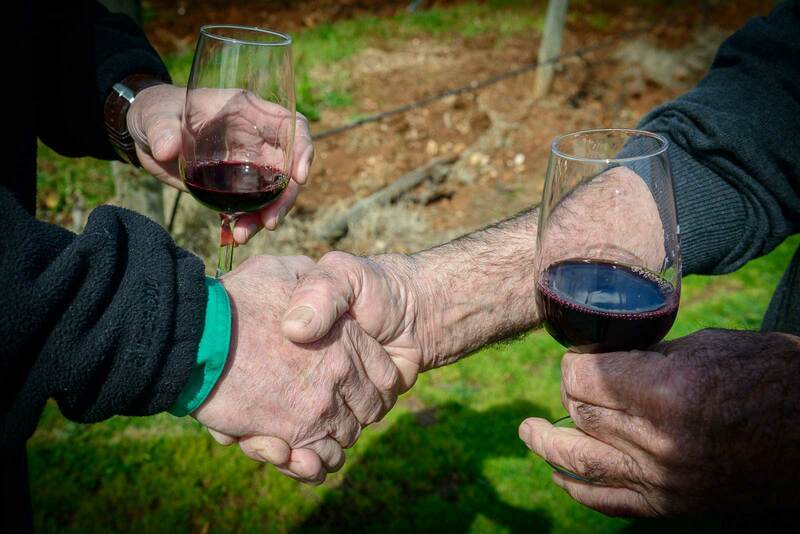 Balnaves Cellar Door & a ticket to the Coonawarra Roadshow to your closest participating city. Make sure you log into your account. You can access your account by clicking here. Once logged in you will receive the discount based on your bottle amount/frequency of delivery. Yes. you will receive discounts based on the discounts available above. No. We use Stripe payment gateway as well as a SSL certificate to protect your privacy. Please navigate to the My Account page by clicking here. On this page you can click on “Lost Password”. I want to cancel my membership; how do I do this? You may cancel your membership at any time by calling us on 08 8737 2946 or online by logging into your account and cancelling your Wine Club subscription.